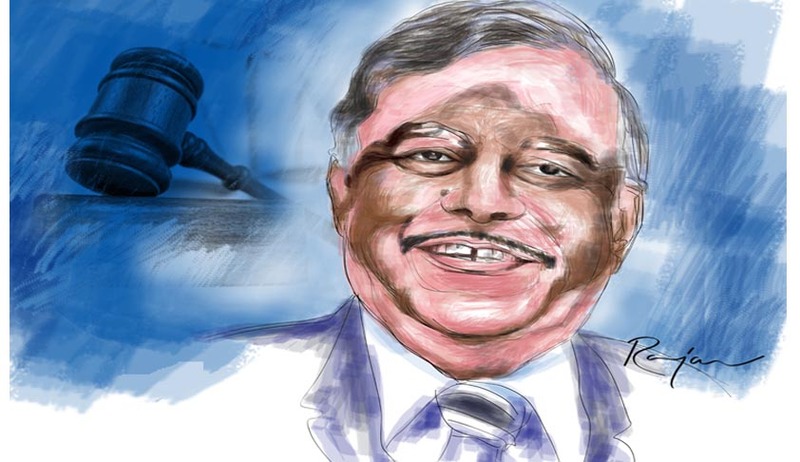 Jurists including former Chief Justices of India objected the move to appoint Justice Sathasivam as Governor. “Normally retired judges from either high court or Supreme Court should not be in politics. There are some precedents and convention one has to follow." Said A.M.Ahmadi, Former Chief Justice of India. “Justice Sathasivam should not have accepted the offer. This is purely a political appointment and earlier, the Law commission of India had also recommended that no retired high court or Apex court judge should accept such political posts." said former Chief Justice G.B.Patnaik. “If a Supreme Court bench, where a judge is on the verge of retirement, is hearing a case involving political matters, it will create doubts. Let us assume they decide it impartially, but confidence in the judiciary would be eroded,” Without public confidence, “the judiciary is like a fish out of water”, he said. “So, to sustain public confidence, at least a quarantine period of two years should be there.” Said Justice K.T.Thomas. “If such a post is offered to me, I would not accept it — that is my personal view. Any appointment should be commensurate with the work the judge had done in the Supreme Court or high court,” He also suggested that there should be a quarantine period of two years because judicial posts are delicate ones. It is learnt that the Central Government has recommended to the President of India, name of Justice P Sadasivam, former Chief Justice of India for appointing him as the Governor of State of Kerala. As per the provisions in Article 154 of the Constitution of India the Governor of a State is the Executive head since executive power of the State is vested in the Governor and such power shall be exercised by him either directly or through officers subordinate to him in accordance with the Constitution of India. Article 124 (7) of the Constitution of India mandates that “No person who has held office as a judge of the Supreme Court shall plead or act in any court or before any authority within the territory of India”. It is true that there is no express provision in the Constitution debarring of appointing a former Chief Justice of India or a former judge of Supreme Court as a Governor of a State. But the fact remains that the Chief Justice of India occupies the seat of superior post in the Indian Judiciary, which is one of the three pillars of the Democracy. As per Article 60 of the Constitution, before entering upon his office, President of India, makes and subscribes his oath, in the presence of Chief Justice of India and it is inappropriate that a former Chief Justice of India occupies the seat of the Governor of a State, under the orders of the President and holds office during the pleasure of the President.